On May 31, 2016, Watauga High School staff noticed a 15-year-old minor was missing from the campus grounds, Boone Police responded and began an investigation. During this investigation, Boone Police learned that the minor had walked away from the high school campus willingly. The minor was located safely a short time later. Boone Police continued to investigate this situation after the minor had returned to the school. On June 2, 2016, Boone Police determined that this 15-year-old had encountered an adult male on a social media outlet prior to walking away from the campus. 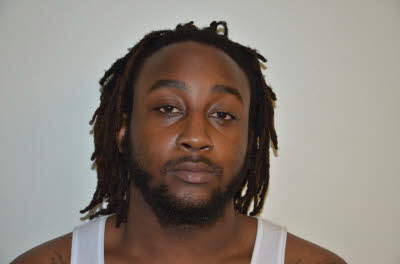 This individual was identified during this investigation as 22-year-old, Darius Dekwan Lathon. Lathon and this minor communicated through social media and texting apps for a period of time. Investigators believe that during this time, Lathon arranged to meet with this minor for sexual purposes. Upon leaving the school campus, the minor met with Lathon nearby and went with him to his residence for a period of time. Investigators learned that Lathon has been living in Boone for approximately 2-weeks since moving here from Baltimore Maryland. Pursuant to this investigation, Darius Dekwan Lathon was arrested and charged with the following crimes. Mr. Lathon was taken before a Watauga County Magistrate, where he was assigned a court date of July 8, 2016 and placed under a $500,000 secured bond.